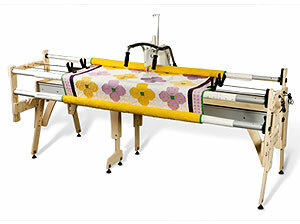 Mid Arm Quilter MAQ14 fits most frames, has standard speed control, same handles and sewing mechanism as larger machines. 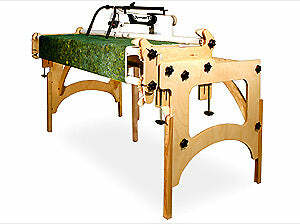 Nolting Mid Arm Quilter MAQ-14 Quilting Machine With Optional Frame. Nolting makes a 14 inch x 8 inch hobby machine. It sits on almost every frame. Standard speed control. Same handles and sewing mechanism as the larger machines. Available in purple. 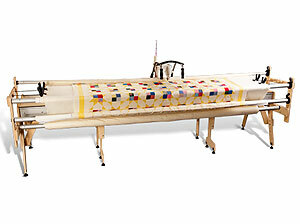 Nolting Mid Arm Quilter MAQ-14 Optional Frame. Nolting Mid Arm Quilter MAQ-14 Information.